Cambridge University Press, 9780521766982, 454pp. 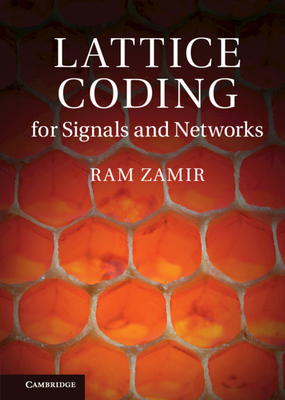 Unifying information theory and digital communication through the language of lattice codes, this book provides a detailed overview for students, researchers and industry practitioners. It covers classical work by leading researchers in the field of lattice codes and complementary work on dithered quantization and infinite constellations, and then introduces the more recent results on 'algebraic binning' for side-information problems, and linear/lattice codes for networks. It shows how high dimensional lattice codes can close the gap to the optimal information theoretic solution, including the characterisation of error exponents. The solutions presented are based on lattice codes, and are therefore close to practical implementations, with many advanced setups and techniques, such as shaping, entropy-coding, side-information and multi-terminal systems. Moreover, some of the network setups shown demonstrate how lattice codes are potentially more efficient than traditional random-coding solutions, for instance when generalising the framework to Gaussian networks.